If you’re reading this, it’s likely I don’t have to tell you who Alex Chilton was and why his death on March 17, 2010 is being mourned by lovers of music everywhere. So I’ll just jot down a few thoughts. 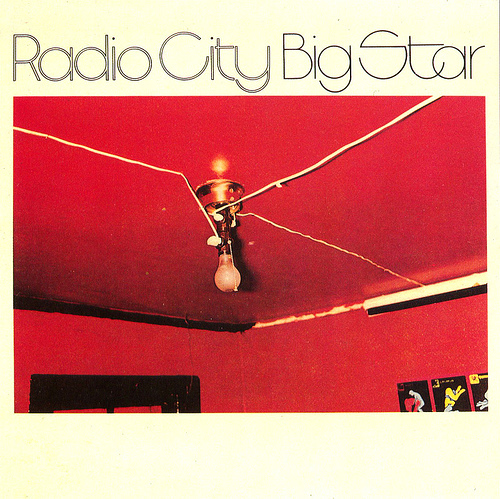 I have no idea how I first heard of Big Star. I think I just sort of absorbed the knowledge that there was this hugely influential band in the 1970s that didn’t sell all that many records. This was just the sort of thing that music lovers, particularly fans of what used to be called college rock, knew, like they knew about the Velvet Underground. I picked up Big Star’s three albums when they were reissued on CD in 1992. I remember the awe they put me in, particularly their astonishing third album, alternately known as Third and Sister Lovers. Sister Lovers is a stunning musical achievement. I don’t think another album exists that is so majestic and yet so heartbreakingly human. From the rousing opening, “Kizza Me,” to the depths of despair of “Holocaust,” to the joy of “O, Dana” and “Stroke it, Noel,” to the delicate closing admonition to “Take Care,” Sister Lovers takes its listeners through the panoply of human emotion. It is an exhausting but hugely rewarding experience. It is also at the absolute pinnacle of rock and roll music, standing right up there next to works as towering as Exile on Main St. and London Calling. My singling out of Sister Lovers should not be read in any way as denigrating Big Star’s first two albums, #1 Record and Radio City, which are classics as well (how did “September Gurls” not set the world on fire?). Big Star put out an amazing body of work, and it’s Hall of Fame worthy. I made a decision not to seek out Chilton’s subsequent solo work. The reviews were, at best, mixed and I didn’t want to tarnish Chilton’s legacy in my mind. It must be said that seeing Chilton live sometime in the 1993-1994 area did not increase my desire to explore further. Now that he’s gone, I think I’ll dig around a bit in his solo stuff and the Big Star revival partially staffed by members of Big Star disciples the Posies. I’m sure there are some gems buried in there, and now I want to find them. God bless you, Alex. Your music means the world to me and will so long as I live. This entry was posted on Monday, March 22nd, 2010 at 9:16 PM and is filed under Obituaries. You can follow any responses to this entry through the RSS 2.0 feed. Both comments and pings are currently closed. Mr. Chilton was a rock ICON. I was blessed to have met him and interviewed him for KCOU-FM in Columbia Missouri. (Like many interviewees he rode in my Camaro back to the station!) He was a great guy! He played Columbia several times and also played the KCOU birthday party. I must say that when I was turned onto him in the early 80’s, I jumped into anything I could find and to this day love it all. After meeting and speaking with him,it still blew me away that he was the same guy that sang “The Letter” at 17years old. He told the story of smoking too many cigs to get that sound from his voice.